It’s the night before the first day of school and mom has already prepared Charlie’s backpack and lunchbox. She and Charlie pick out his clothes for the next day and get ready for bed. 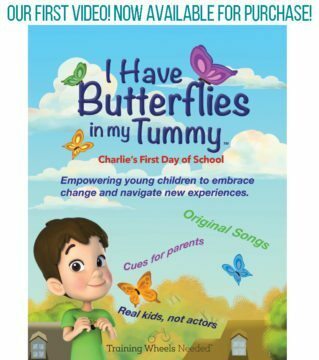 While they’re getting ready Charlie says that he has butterflies in his tummy because he’s not sure of what to expect for his big first day of school. But it’s ok, because having butterflies in your tummy is a good thing. Mom reads Charlie and his puppy Harry about The First Day of School to help him understand what will happen tomorrow. A kiss goodnight and Charlie is fast off to sleep. Charlie awakes to find the book that Mom had been reading has become life size. 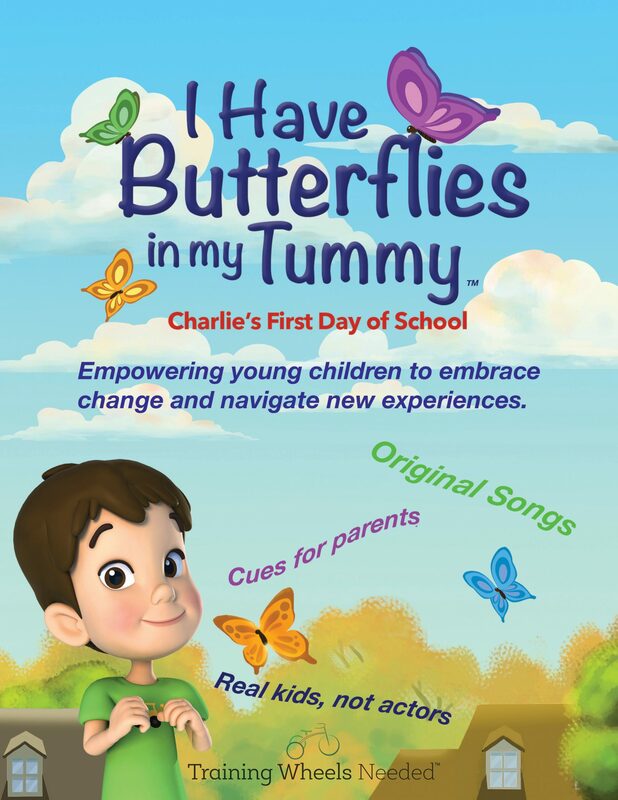 Charlie steps through the page and into a real life classroom where he gets to experience all the fun activities, songs and classroom rituals just like he will when he wakes up. I Have Butterflies In My Tummy uses positive word association and gives names to your child’s emotions so they can learn to identify and understand what they’re feeling. Starting something new for the first time can make anyone a little bit anxious. Reading books and watching videos helps children understand what’s to come by letting them experience something new by identifying with the characters. While many books and videos use words negative words like “scared,” “jitters,” and “nervous” we use positive word association to help your child ease into their new environment.